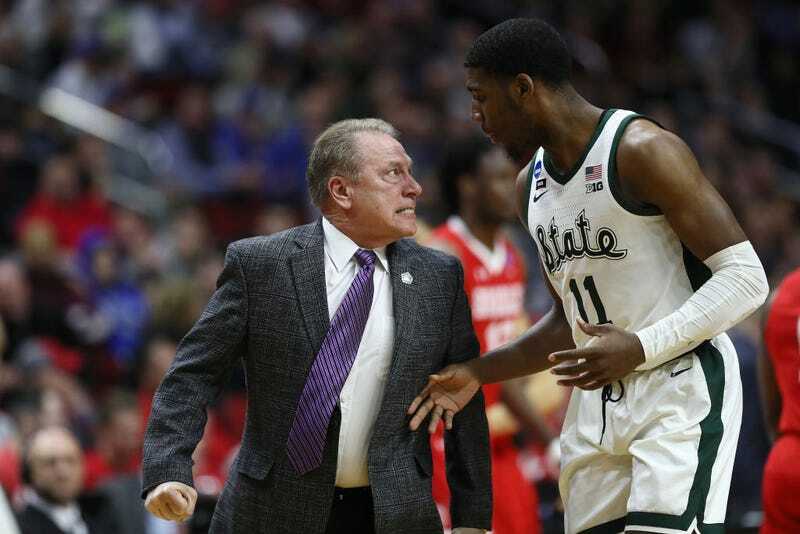 Head coach Tom Izzo of the Michigan State Spartans glares at Aaron Henry after a play during their game in the First Round of the NCAA Basketball Tournament against the Bradley Braves at Wells Fargo Arena on March 21, 2019 in Des Moines, Iowa. Editor’s Note: This story was produced by The Hechinger Report, a nonprofit, independent news organization focused on inequality and innovation in education. Sign up for Hechinger’s newsletter.